At Gary Irwin Solicitors we understand business and the need for transactions to be efficient and cost effective. We are committed to providing you with sound professional advice. We will be happy to deal with your queries or any concerns you may have regarding your new purchase. We pride ourselves on being a friendly and competitive firm and our aim is to provide a reliable, accurate and affordable legal service. Buying your first home can be daunting sometimes. It is a big financial decision to make. We, at Gary Irwin Solicitors, aim to make it as easy and as painless as possible. 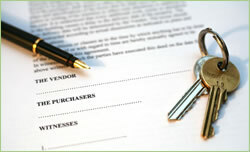 Our experience and expertise will help guide you through the buying process. To put your mind at rest we can ensure that the legal work involved in your purchase is completed professionally and efficiently, even after you have received the keys to your new 'castle'! Work continues on your file until registration has been completed and everything finalised. There are several costs involved in purchasing your first home, over and above the purchase price. These can be listed out in a detailed quote on request. 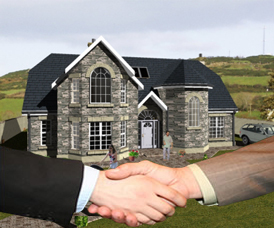 As and from 1st July 2008 we are now offering a special reduced fixed professional fee of €1,250.00 (plus VAT and outlay) for first time buyers only. However, we are aware that first time buyers are very conscious of saving money at a time like this so if you're shopping around for other quotes please feel free to come back to us and we may be able to re-adjust our quote. Under the 'Rent a Room Scheme' you are allowed to rent out a room in your new home and earn up to €10,000.00 a year tax-free. Contact the Revenue Commissioners on 1890 306706 and ask for Leaflet IT70. (This information is correct at time of publishing: January 2008). Please contact Gary Irwin for a comprehensive quote on outlay involved in the purchase of your new home. Gary Irwin Solicitors - Suite 1, Portmarnock Town Centre, Portmarnock, County Dublin.